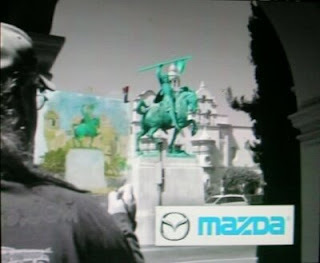 I was on Monday Night Football! 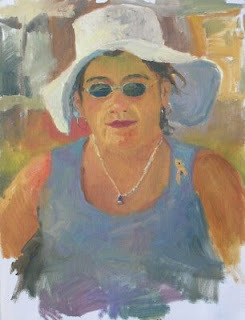 "Cathy in a Floppy Hat" 16x12 oil on canvas panel. Painted at the Rancho Santa Fe Art Fair on Sunday September 7, 2008. It was a beautiful day, met lots of art lovers and fellow artists. 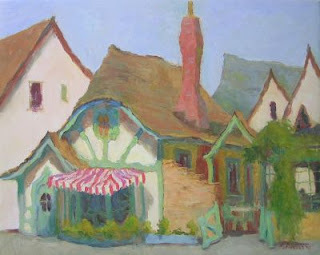 This is a studio painting of The Nordic. 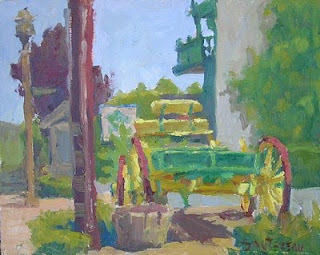 Done from one of my favorite plein air efforts. Lots of interesting fishing boats here. Had painted the Jan Lin here, many times, but gave the Nordic a try. Now co-hosting the SDAI paint-out with Maura McHugh.We meet each month every third Saturday at 9am in front of SDAI.Non-members welcome.See you there. 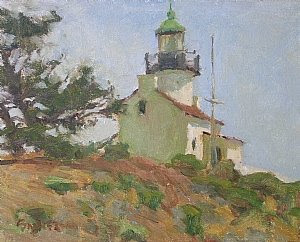 An Invitational plein air exhibit by local California landscape painters. 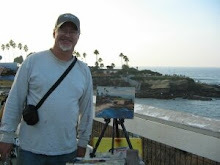 Painted during the Ralph Love Plein Air Contest in Old Town Temecula. 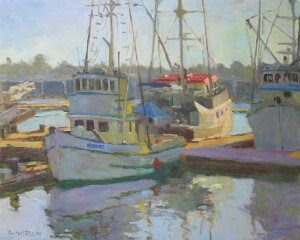 This painting received Best of Show honors and was purchased by the City of Temecula. Had a great time painting here, lots of old buildings and stuff.